HOURGLASS VEIL TRANSLUCENT SETTING POWDER | WORTH THE HYPE? First up; I just wanted to talk about the packaging and the amount of product you get in here. This comes in a screw-top jar that's actually quite flat and wide. You open this up and the shaker has the Hourglass 'H' in the centre of the gold insert. This does have a stopper in the lid of powder, so you don't have to worry about it going everywhere if you travel a lot like me and want to be able to take this along. One thing that's not so great about this is that you only get 10.5g of product, which isn't a lot! This works out to £4 / gram of product - contrast this with a couple of other popular loose setting powders: the Too Faced Peach Perfect comes in at 57p / gram and the Laura Mercier Translucent at £1 / gram. A powder is something you're going to be using pretty much every day, so I thought this was worth noting! The powder itself is incredibly finely-milled and I love how this packaging dispenses the product - there's never too much coming out. At £4 a gram; just be careful it doesn't blow away in the wind! It's 'translucent' in colour and I can only speak for my own skin tone, but it is a true 'traceless' product on me and I have used it with flash photography and it doesn't give flashback, which is great. This never looks cakey and there's really no way of going overboard with it, which is also a massive 'tick' for me. I use this to set under my eyes and any problem areas on my face where my makeup tends to disappear and I really love the effect it gives. I actually think this could be great for mature skin because it has this lovely 'soft focus' effect that sort of blurs fine lines and pores in a way unlike other products I've tried (though their Ambient Lighting Powders can do something similar, depending on how you use them). What's also great is that this isn't matte or drying; it helps keep that radiance but just takes down the surface shine. This is exactly what I need for my skin in winter because it still leaves my complexion looking healthy and radiant without me having to compromise on the longevity of my makeup. I also think dry skin types would love this powder for that reason. It stops my concealer creasing under my eyes or wearing off and keeps the shine at bay. I do get some oils creeping through after the 6 hour mark, but this powder doesn't claim to matte the skin, so I really don't mind touching up with a compact after lunch. Overall, I'm so happy with this powder! It isn't cheap but it's up to you whether you think this is a product category you want to invest in. If you have dry or mature skin and want something that's going to look flattering; I think this could be The One for you. Based on my personal experience: this is absolutely worth the hype. 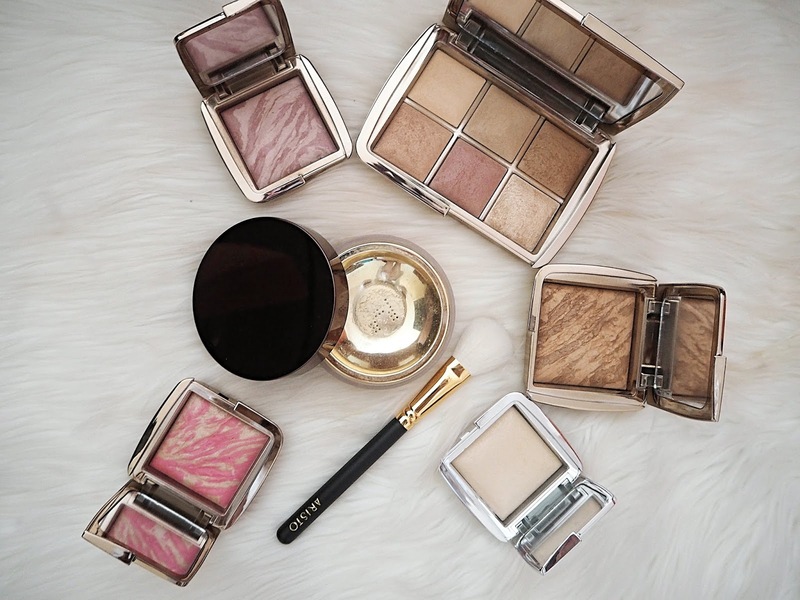 Have you tried Hourglass powders before?